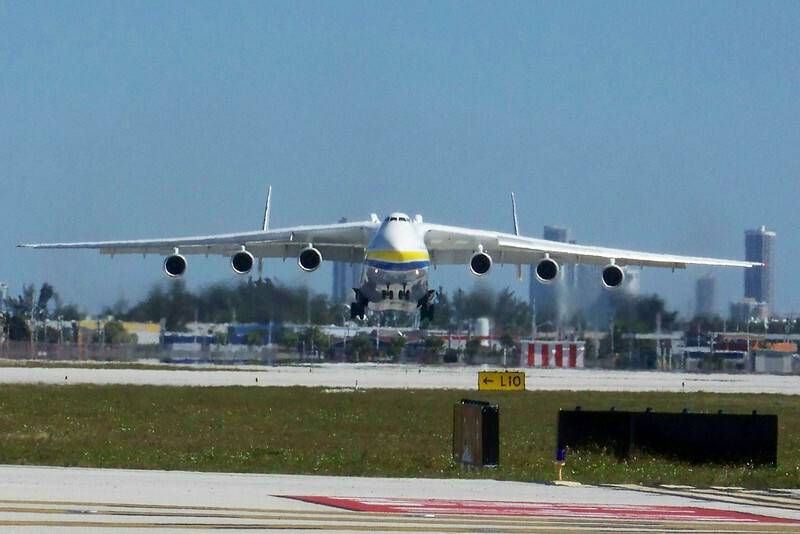 The World’s largest aircraft an Antonov An-225 landed at MIA on February 10, 2010 for an overnight stop prior to departing for Haiti. The flight originated at Narita, Japan with a stop in Fairbanks, Alaska and on to Miami. The flight was carrying aid relief for Haiti. There was only one of these aircraft ever built.